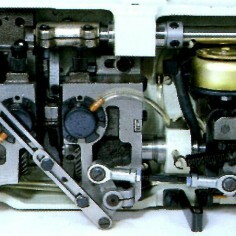 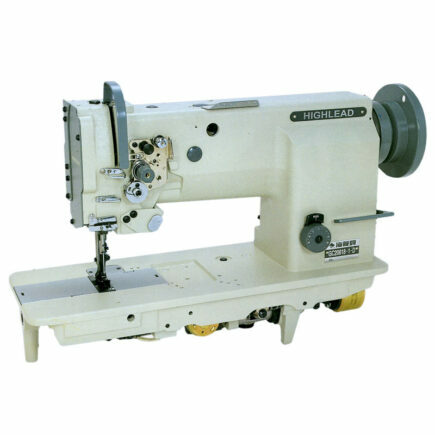 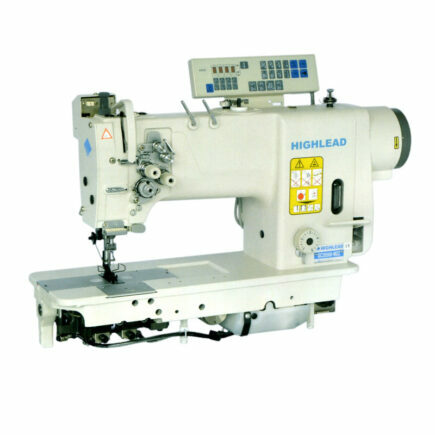 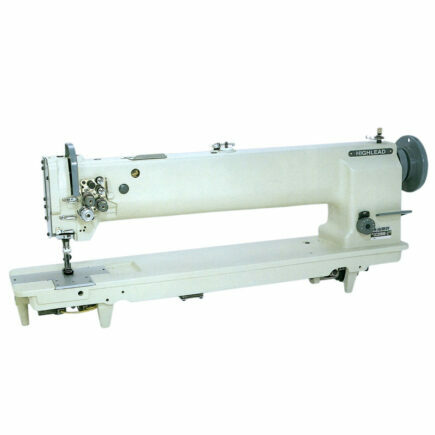 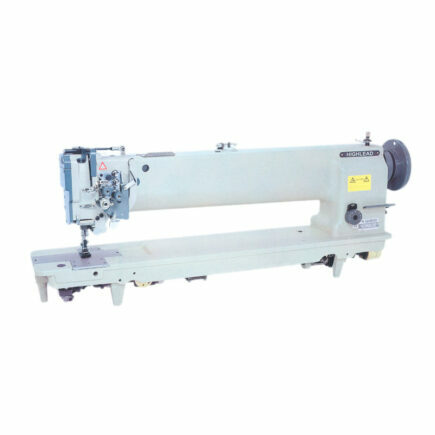 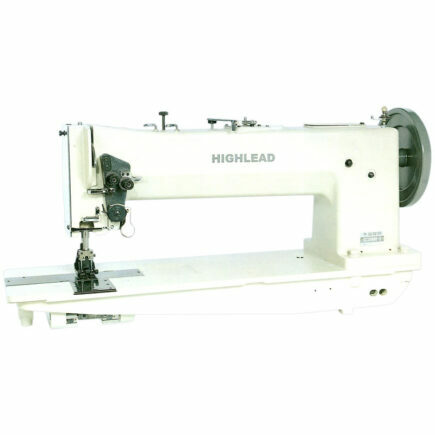 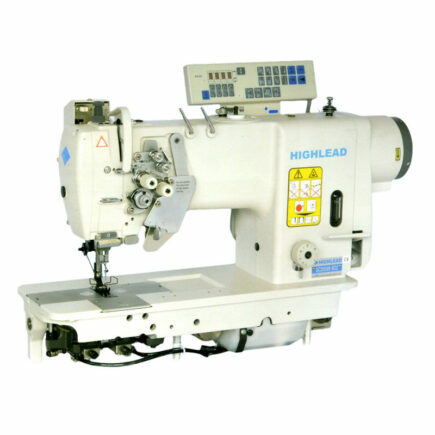 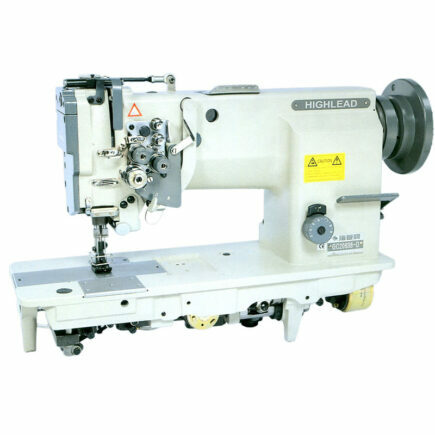 This two needle, needle feed lock stitch series is an automatically lubricated machine with two vertical axis rotating hooks and a sliding bar thread take up. 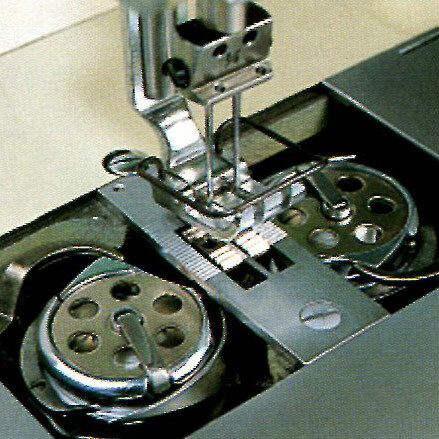 The synchronization of the needle bar and feed dog assures even stitching and prevents the materials that are being sewn from shifting. 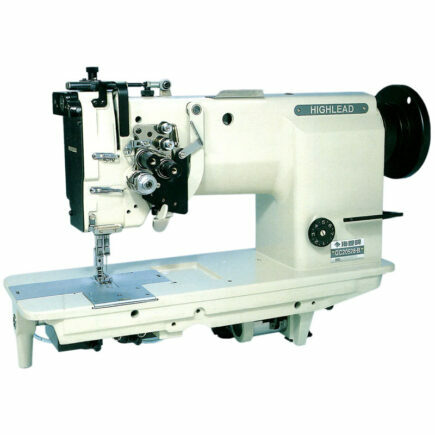 A knob type stitch regulator and a lever type reverse feeding mechanism allows for easy operation. 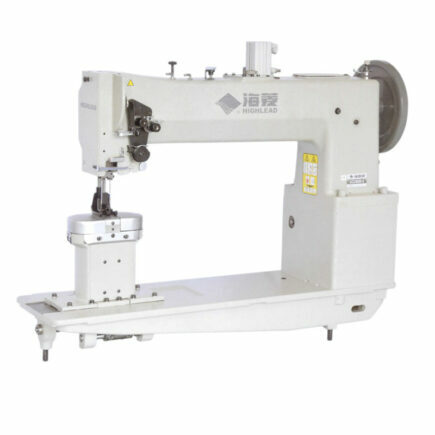 The arm shaft and hook shaft are supported by ball bearings and together with the drive belt and plunger pump lubrication system quiet and smooth operation is easily maintained. 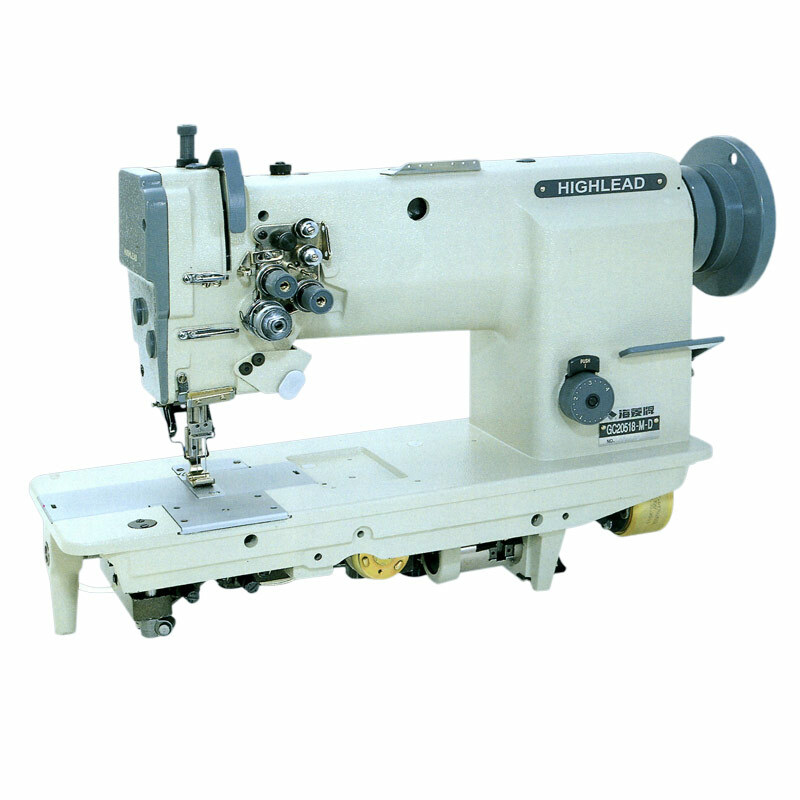 Available in standard size (Model GC20518-M) and large capacity hooks (Model GC20518-B) it is used in the manufacture of shirts, uniforms, overalls, women's inner wear, and jeans. 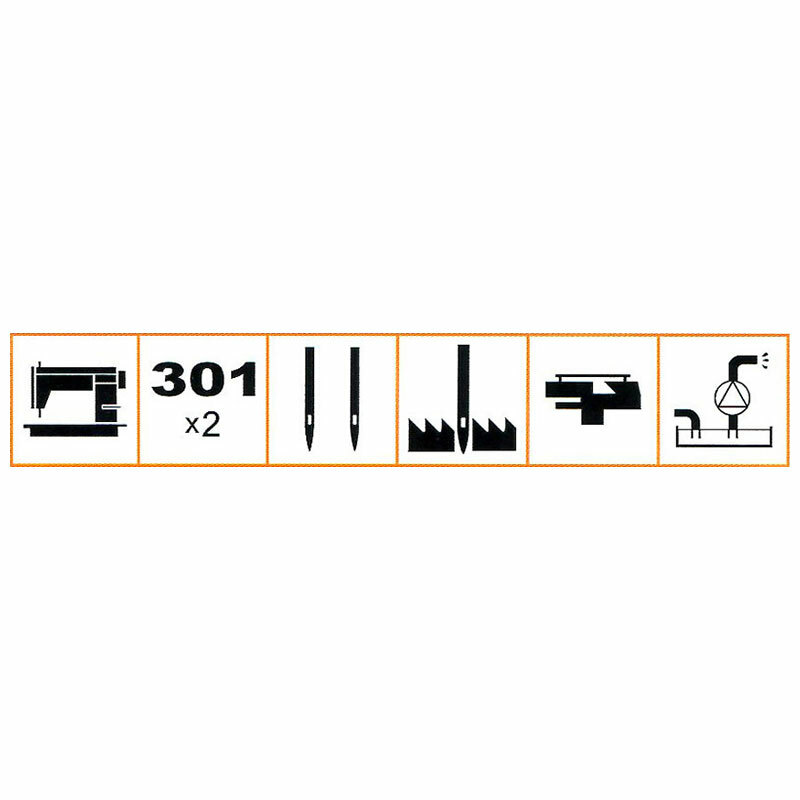 For those seeking additional functions and increased productivity model numbers GC20518-M-D and GC20518-B-D are available as undertrimming machines. 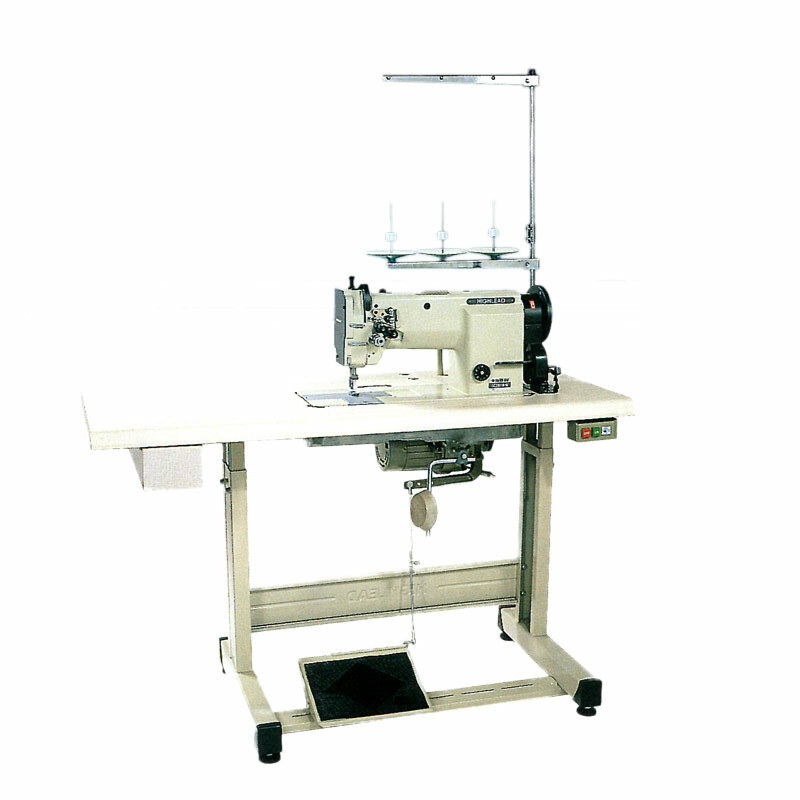 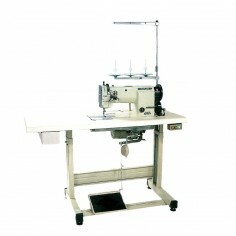 Max Sewing Speed 4000 r.p.m. 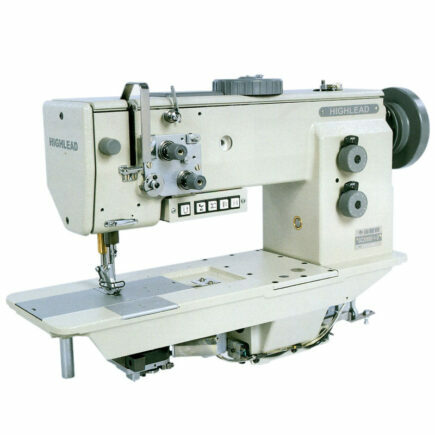 3000 r.p.m.